Matching set of x447r and x447 Props. 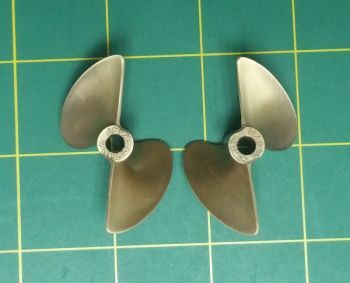 Due to inconsistencies of prop diameters from the factory. We have made matched sets of x447 Octura Props. Each set consists of a left and right matching Octura x447 and x447r that has been balanced and sharpened. Each set is approx. 45mm - 46mm in diameter.